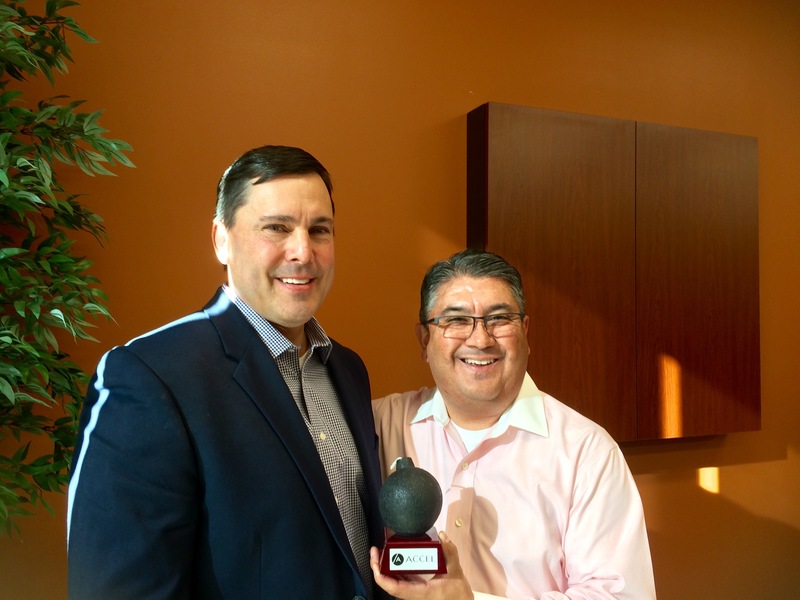 Congratulations to REALTOR Vincent Archibeque for receiving the November ‘Set It Off’ Award at Accel Realty Partners. Nominated by peers at the brokerage (almost 100 agents strong! ), this award is given to those who demonstrate the best overall salesmanship and positive attitude at Accel Realty Partners! Well Done, Vincent! Pictured with Founder and Managing Director, Steven Caporale.